Field trips to Pricketts Fort offer students of all ages an educational and fun historical experience. 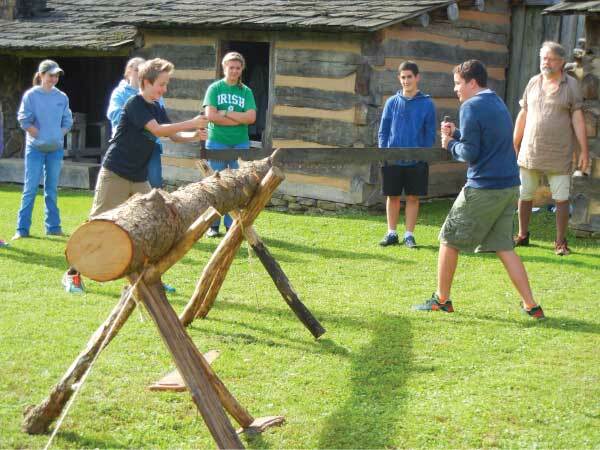 Students have the opportunity to learn about frontier life through various hands-on demonstrations such as militia drills, tomahawk throwing, colonial children’s games and candle dipping. Students are guided through each station by costumed living history interpreters, and have the option of visiting the Job Prickett farmhouse and the Pricketts Fort Visitor Center which contains a museum gallery and gift shop. 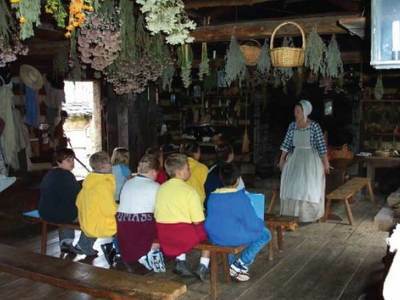 A visit to the blacksmith shop is included with each school tour. 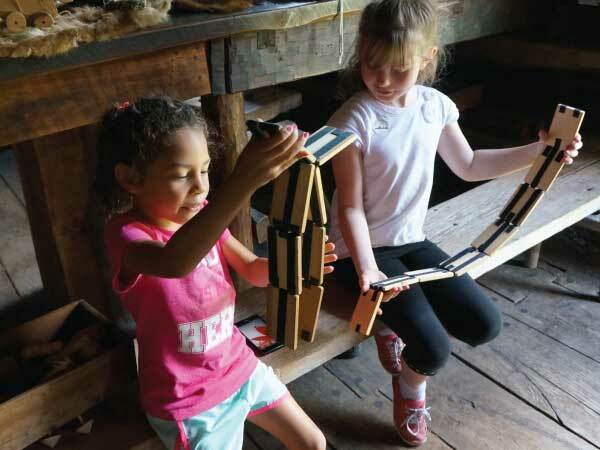 Many classes also take advantage of the state park’s recreational facilities and enjoy lunch in the picnicking area, or a short walk on the nature trail. We recommend that you allow at least 2 ½ to 3 hours for your tour. The park’s normal hours of operation are 10:00 am to 4:30 pm. To schedule a visit for your school, please call Pricketts Fort at 304.363.3030. 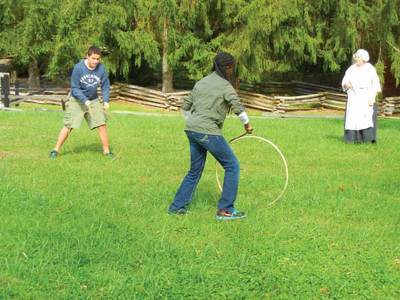 School tour prices begin at $4.00 per student and $6.00 per chaperone.